Asha Binbek is one of CAIR-Chicago’s Communications Coordinators. As a student at the University of Illinois at Chicago, Asha earned two Bachelor’s degrees in English and Communication. 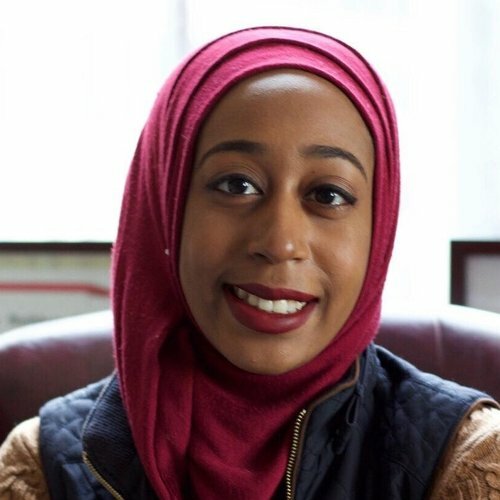 Concurrently, she served as the Undergraduate Student Government Interpersonal Relations director and as the first Center for Leadership and Civic Engagement Fellow, overseeing the UIC’s efforts around the 2016 election, Asha helped the campus earn one of the inaugural Voter Friendly Campus Designations along with being recognized as the Most Engaged Campus by the All in Democracy Challenge. Additionally, through her advocacy efforts on campus, she was able to see the creation of the first Arab American Cultural Center at a university, serving on its advisory board until graduation. She was also one of several student leaders that organized the Stop Trump Rally in March of 2016 which had over 15,000 people in attendance. Asha will begin her Master's in Public Policy at the University of Chicago in October. Afterwards, she plans on attending law school and becoming a civil rights attorney with the hope of protecting the rights of minorities who cannot always protect themselves against injustices. Asha can be reached at abinbek@cair.com.